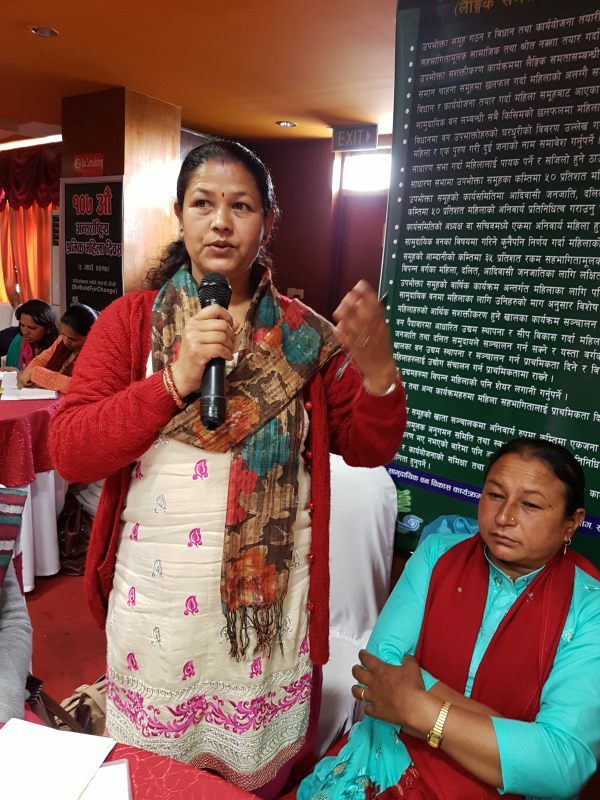 Effectively taking gender considerations into account in conservation and sustainable use measures is a challenging task that requires active engagement of actors and stakeholders at all levels. 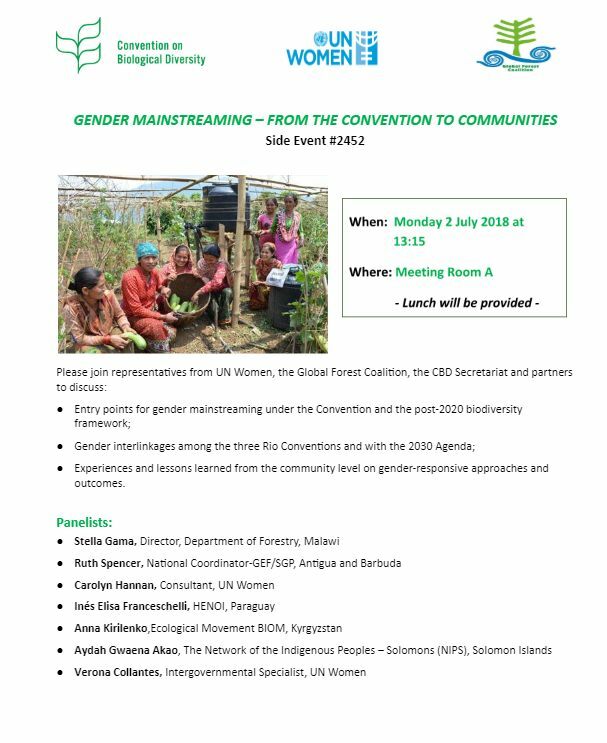 This side event will share some of the experiences and exchange from the capacity building workshop on gender mainstreaming for Parties and stakeholders, held on 1 July 2018 by UN Women and the CBD Secretariat. It will serve as a platform to share key take-aways from the workshop and reflect on the potential entry-points for gender mainstreaming in Convention processes, as well as in the development of the post-2020 biodiversity framework. This second part of this discussion will make the links to activities on the ground – highlighting community case studies from different regions, which demonstrate how gender-responsive actions can contribute to outcomes for both biodiversity and gender equality. Please come with your questions, and any experiences to share!